Hello Everyone, I wanted to drop a note saying that [Stripey Horse 2008] is perilously close to being sold out. I had held some bottles back to be able to offer during the holidays and we are now down to less then 30 bottles… and when those go that will be it. Bottles of Stripey Horse are currently $85 each (free Shipping & Delivery/sales tax applicable in NY) so if you are looking to have a bottle or wanted to give one away this holiday season please contact JasonOliva@gmail.com for any orders or inquiries. There will be a lot going on this holiday season so please check in for all the upcoming news, promotions and events! Jason Oliva [Wine] is a collaboration between NYC artist Jason Oliva and South African wine maker Dirk Roos. 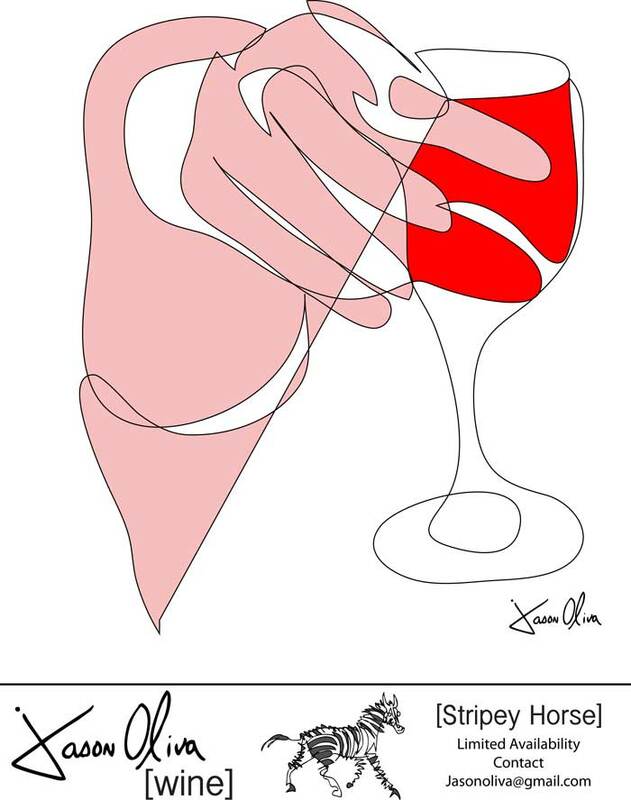 The first release of Jason Oliva [Wine] is named [Stripey Horse]. [Stripey Horse] was produced and bottled in Stellenbosch, South Africa in 2011 and delivered to New York City in 2012. 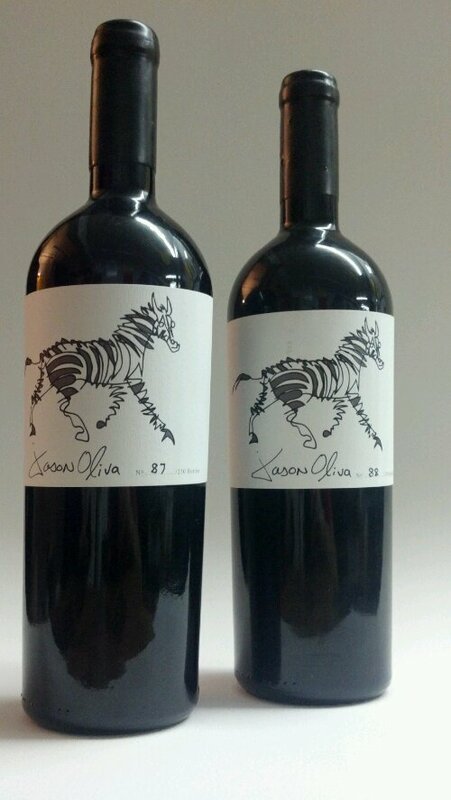 It is an an exclusive 250 bottle release of a (2008) South African Cabernet Franc, Merlot, Cabernet Sauvignon Bordeaux style blend with Jason Oliva’s Stripey Horse painting adorning the label. 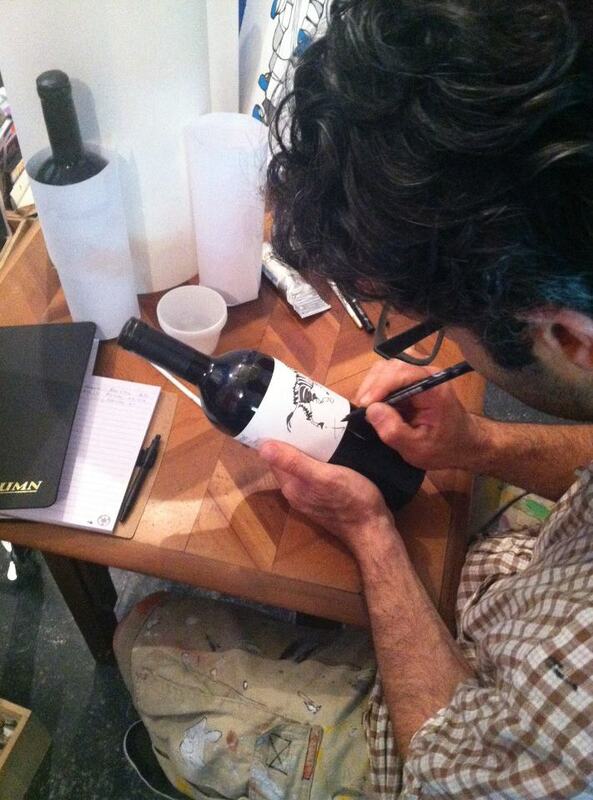 All bottles are hand-signed and numbered by Jason Oliva. Currently there are only 3 to 4 cases of [Stripey Horse] remaining. This also means these are the LAST of the 2008 vintage. [Stripey Horse] magnums are now SOLD OUT! To read the Jason Oliva [Wine] full story, please click here.